Get into the Christmas spirit with these quick-and-easy holiday projects - from adorable applique designs for Santas, snowmen, sleighs, snowflakes to creating tree skirts, table runners, and other festive accessories. 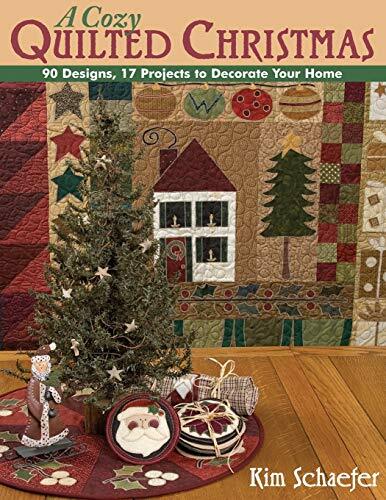 "A Cozy Quilted Christmas" presents 17 festive projects and over 90 full-size patterns to mix and match. Great for gifts and great for making the festive season more cheerful than ever before, these projects put the ho-ho-ho in home decor! Kim Schaefer has been an avid fan of crafting and quilting since she studied fine arts and fibres in college. She now designs quilt patterns for her own company.